Featuring Arun Jaitley's 5-minute break during his Budget speech, Carrefour exiting India, Infosys reporting its first quarter results and more. Chances are that you wouldn't have heard of Banco Espirito Santo. Chances are that many stock traders in India wouldn't have heard of it either. But they were eager to sell once they heard of financial problems and accounting irregularities at the Portuguese bank's parent company. That is why you saw the Sensex yo-yo on the Budget day. Of course, traders in India were merely following the cues from their brethren in the United States and Europe. When markets are exploring all-time highs, perhaps even obscure names are enough to trigger rampant sales. China Central Television, the state-owned broadcaster, carried a report saying the Apple iPhone is a threat to national security because of its ability to track user locations. The report, according to Reuters and Bloomberg, says the data can reveal details of the country's economic situation and also state secrets. This is not the first time Apple has been attacked in China. Nor is it the only American company to be so targeted. Not too long ago, it was accused along with Microsoft, Google, and Facebook, of cooperating in a secret US programme to monitor China. P. Chidambaram, 68, and Pranab Mukherjee, 78, can gloat. They did it standing up, with barely a pause. 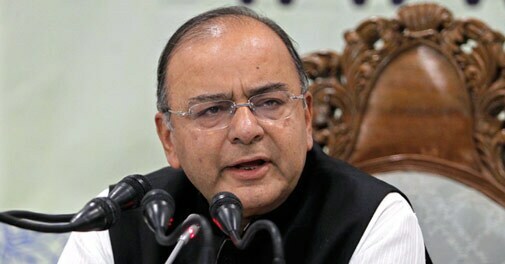 Forty-five minutes into his Budget speech, Arun Jaitley, 61, asked for a five-minute break; he was earlier seen clutching his back. He spoke for the remaining 85 minutes sitting down. As you read in these pages two issues ago, Goldman Sachs had come out with an exhaustive report to predict an Argentina versus Brazil final at the soccer World Cup. After the first stage of the tournament, the investment bank took Argentina out and put the Netherlands in the final as the one to be defeated by Brazil. The report was crunched by economists out of data from 14,000 matches. In contrast, Paul the octopus, who became a celebrity during the 2010 World Cup, had no access to economists or data, but correctly predicted the outcome of each game involving Germany back then, as well as of the final won by Spain. >> ICICI Bank will look at acquiring a bank if it finds one with the right size and right valuation, but is yet to find a takeover target that fits in its evaluation model, the bank's chief Chanda Kochhar said. In the past, ICICI Bank has acquired entities such as Bank of Madura, Sangil Bank and Bank of Rajasthan. >> A panel, headed by former chairman of the Prime Minister's Economic Advisory Council C. Rangarajan, has dismissed the Tendulkar Committee report on estimating poverty, and said that the number of poor in India was much higher in 2011/12 at 29.5 per cent of the population, which means that three out of 10 people are poor. As per the report, persons spending below Rs 47 a day in cities would be considered poor, much above the Rs 33-per-day mark suggested by the Suresh Tendulkar Committee. As per the Rangarajan panel estimates, poverty stood at 38.2 per cent in 2009/10 and slided to 29.5 per cent in 2011/12. >> French retail giant Carrefour SA will shut down its five Indian wholesale stores by the end of September, as it exits underperforming markets to focus on reviving its French business. Carrefour has been in talks with Indian retail companies and strategic investors about its Indian assets in recent months. >> Indian companies, mostly in the infrastructure sector, sold assets worth Rs 80,000 crore in the last 18 months, according to a Crisil study. Another Rs 60,000 crore worth of assets is expected to come up for sale in the current financial year. >> The Securities Apellate Tribunal has dismissed Jignesh Shah-promoted Financial Technologies' (FTIL) plea against a SEBI order, declaring it unfit to own stakes in market infrastructure institutions. GM SAT gave FTIL four weeks to divest its stakes in bourses, including MCX-SX. >> ONGC has raised $2.2 billion -the largest bond sale from the country -to fund its overseas arm OVL's Mozambique asset purchase. >> Infosys opened the technology earnings calendar for the April-June quarter reporting numbers in line with market expectations. The company reported a net profit of Rs 2,886 crore, down 3.5 per cent from Rs 2,992 crore in the previous quarter. >> Telecom major Vodafone will continue the international arbitration process in the Rs 20,000-crore tax dispute with Indian authorities, as the government has decided not to drop retrospective amendment in tax laws. >> Manufacturing and services sectors in India expanded at a faster pace than China during June, while emerging market output registered the strongest upturn in business activity since March quarter of 2013. The HSBC Emerging Markets Index (EMI) stood at 52.3 in June, up from 50.6 in May, signalling the sharpest rate of expansion since March 2013. >> India and UK have agreed to set up a »1 billion line of credit to finance infrastructure projects such as the Bangalore-Mumbai Economic Corridor. Financial services industries will establish closer ties between London and Mumbai once the UK-India Financial Partnership gets going. >> Low-cost carrier SpiceJet has offered 10 lakh tickets at a base fare of Rs 999. The tickets that were required to be bought up to the Budget day on July 10 are for domestic travel between January 6 and October 24, 2015. The airline posted its highest ever annual loss of Rs 1,003.2 crore in the financial year 2013/14, up five times from Rs 191 crore in the previous fiscal. >> The Switzerland government has informed India that there is no list of Indian tax residents holding assets in Swiss banks, the government told Parliament. The Indian government has no authentic estimate of the amount of black money held by Indians in foreign banks and cannot give a definite time frame within which it can bring back this money into the country, according to Minister of State for Finance Nirmala Sitharaman. >> Indian drug firms, Lupin and Unichem Laboratories, are among six global drugmarkers slapped with a collecitve fine of e427.7 million by the European regulator for striking deals to prevent the entry of cheaper versions of blood pressure drug Perindopril in the EU. The Indian drugmakers were planning to appeal the decision. Other drugmakers who were fined include Teva Pharmaceutical Industries of Israel, Mylan Inc. of the US and Kirka Group of Slovenia. >> Overseas direct investments by Indian corporates rose to $5.03 billion in June from $1.58 billion in the previous month. The investments include equity, loans and bank guarantees issued.Total overseas direct investments from India in June included $131.4 million in equity financing, $322.9 million in loans and $4.58 billion in guarantees, the RBI said. In June 2013, total overseas commitment by Indian corporates was $3.12 billion.